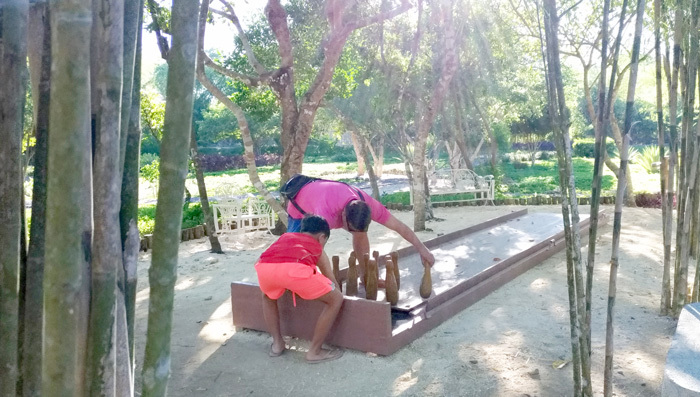 Taking a time-off to Bohol wasn’t really in our family plan this year, it was someplace else. But when Sir Sandy and Ms. Louee of Bluewater went to Davao sometime last year and made a presentation of their beautiful resorts and eventually invited us to come stay in their Bluewater Panglao property, we changed our minds and sooner made arrangements for a Bohol vacation right away. I was still in my elementary years when I first set foot on this island. The second was in 2013 and it was just a short side trip to Tagbilaran. I’m excited since I’ll be staying quite a little while with my husband and my youngest kid this time. 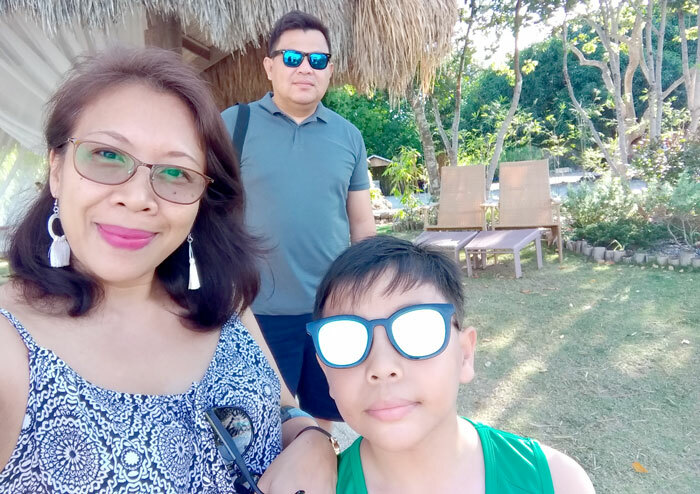 Travelling to Bohol from Davao is an easy feat these days as two of the country's airline companies, Cebu Pacific and Philippine Airlines now flies direct from Davao City to Tagbilaran, the principal city in the island of Bohol. We took the Philippines Airlines and 'twas my first time with Bombardier Q400. Thought it would be shaky and rickety as it’s a small plane but contrary to my earlier insight, it was actually a smooth 50-minute plane ride. 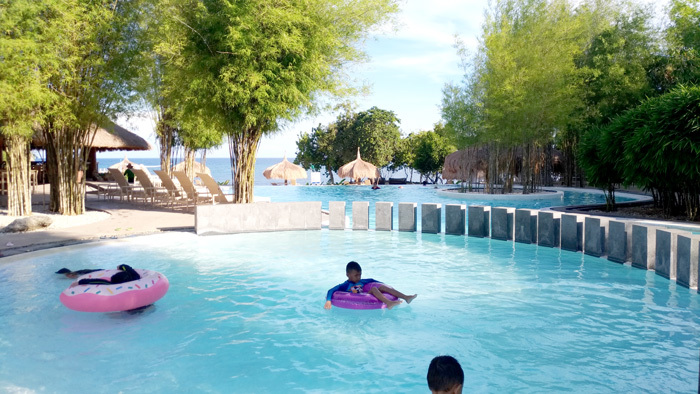 Bluewater in Panglao Island is about 30-minute ride from the airport. You can arrange ahead with Bluewater a shuttle to fetch you from the airport. But in our case, I booked a shuttle from an online travel agency and it went just fine. The reception ladies, especially Louise, were very warm and accommodating, so inherent of a Boholano warmth. Our check-in ritual went on efficiently and I knew right away our stay would be as fine and warm as they received us. 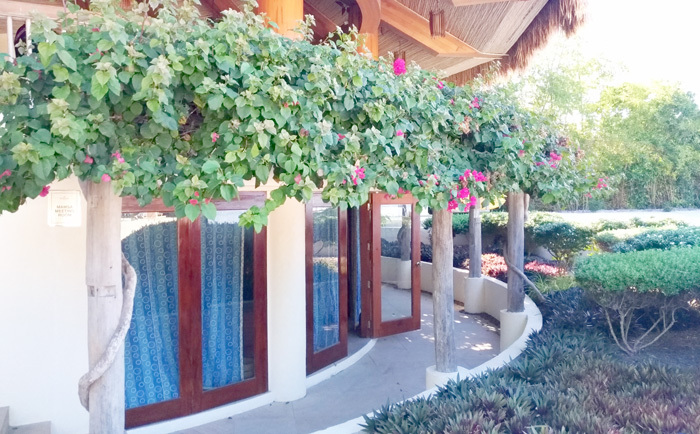 Upon entrance you’ll be greeted with smiling, courteous staff and two long rows of privately sectioned rooms on each side with a well-kept turquoise blue swimming pool with a wooden bridge crossing the middle. 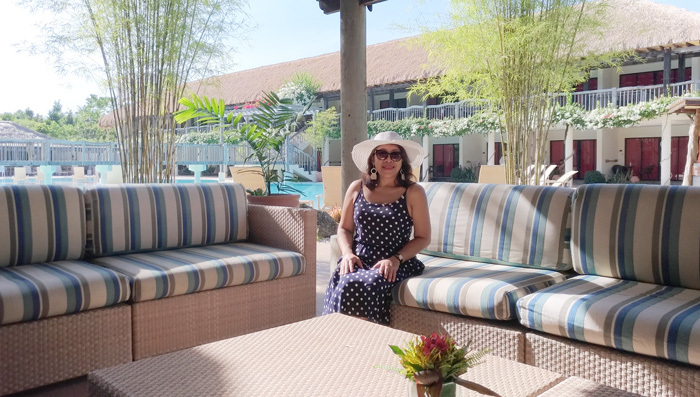 It’s a perfect vacation picture of a contemporary amenity combined with a rustic touch owing to the unpainted wooden railings of the veranda that overlooks the pool. The lush bougainvilla vines trailing the midsection of the structure added an aura of romance and nostalgia. Remember the location of that TV show of long ago, Melrose Place? Something a bit like that but only that there’s no life’s drama here only a promise of relaxing and fun summer days ahead. modern, rustic and romantic summer feel. This is our premier deluxe accommodation. Notice our bed? It’s floating with lights underneath, ingenious! 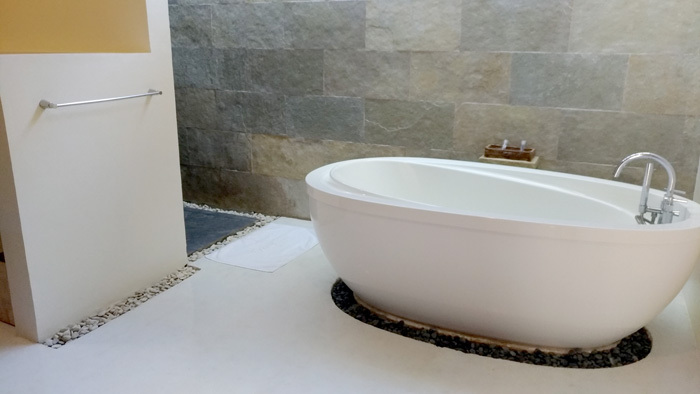 It has a modern aura with a native touch reflecting the natural beauty of Bohol. 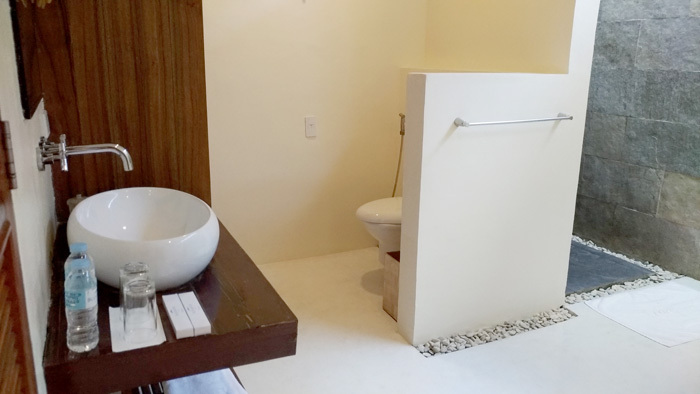 With an area of 42.22 sqm this room can accommodate up to five persons. You can also choose either a king size or a two queen beds for this room. It also has a minibar, a cable TV, a telephone, a shower and a nice bathtub. Free standing bathtub in our room. and it lingers long even after bath. And then we debated whether to have dinner at their Aplaya restaurant or go explore Alona beach. 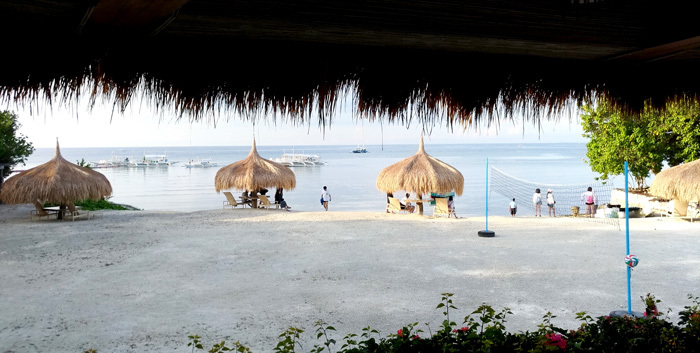 Alona beach is where happy-hours happen in Panglao Island. In the end, exploring Alona beach won. 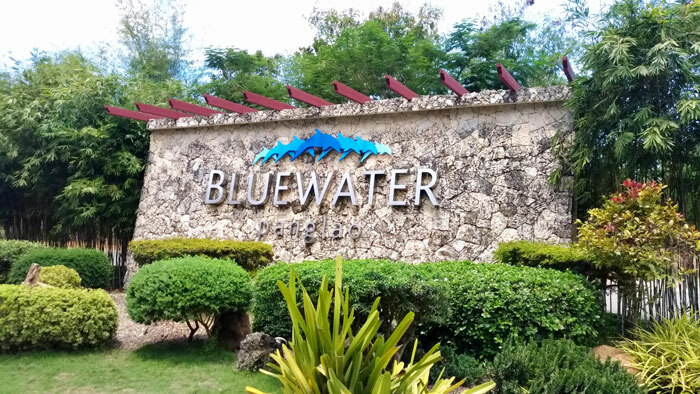 Bluewater is just a 5-minute ride to Alona beach. When the resort van is available you can charter it for P100 and if not there are tricycles waiting outside you can hire for the same amount. Kind of an expensive fare for a 5-minute ride, but that’s the way they do transpo here so ... gora para sa ekonomiya! When we came back, we capped the night with a round of beer and mojito at their Baroto Bar just fronting the main pool. We could have added more, but since the bar and pool opens ‘till 8PM only we called it a night as we have an 8am call time the morning after. We’re exploring the countryside of Bohol like real tourists, hahaha! – with white hats and ready cameras on. When you’re staying in Bluewater, you can also arrange your countryside or island hopping, dolphin watching tours with the reception counter. They too offer hassle-free tour packages. Because a whole lot of summer is what this whole year is all about! I went to everland the moment my head hit the pillows, I was so beat, so it was the morning after that I eventually got to roam around the 6-hectare resort. I didn’t even know my son sneaked out to swim in the pool already, I’m glad it’s a child super-friendly pool. He knows how to swim though, plus, the lifeguard is always around watching. The youngest of the dolphins was named Dolpo and eventually became Bluewater's offical mascot. 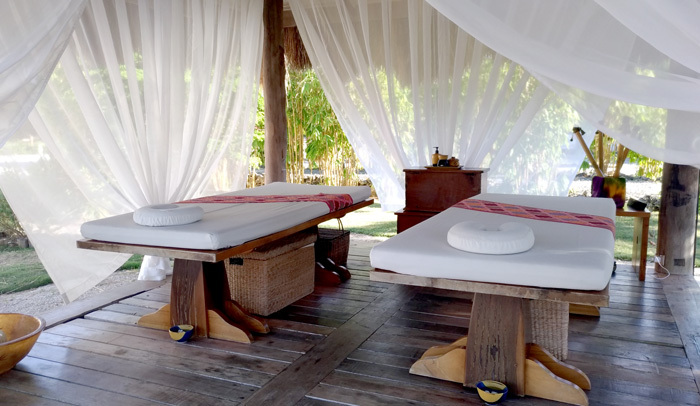 Getting a relaxing massage at Amuma Spa is one of the must-dos here at Bluewater. Book your amuma time ahead at the reception counter as it easily filled-up. 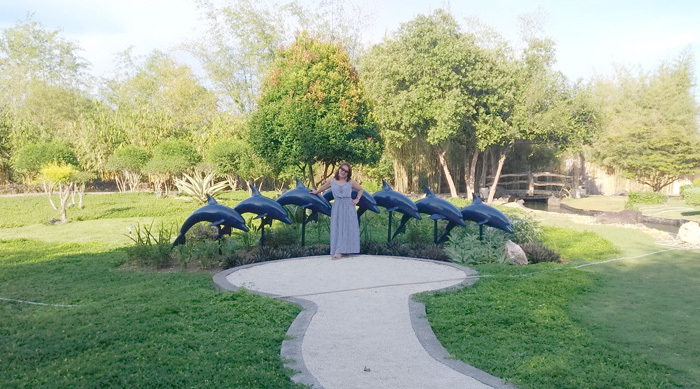 Life's always a walk in the park at Bluewater Panglao. Early morning walk to breakfast at their Aplaya Restaurant. Walking our way early in the morning to breakfast was such a refreshing time. 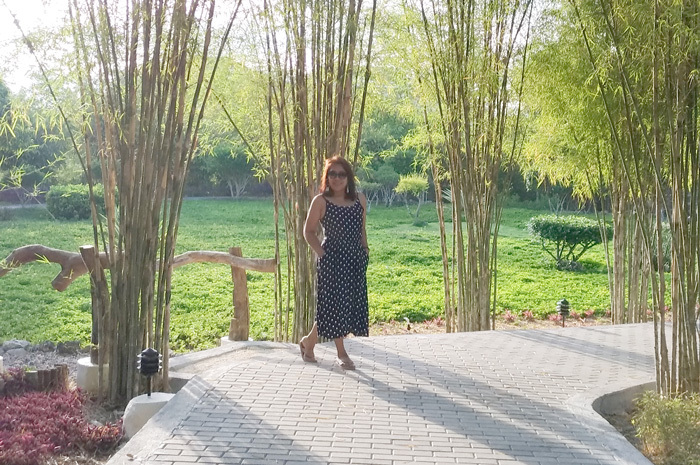 You get to see the well-kept and serene garden of the resort. 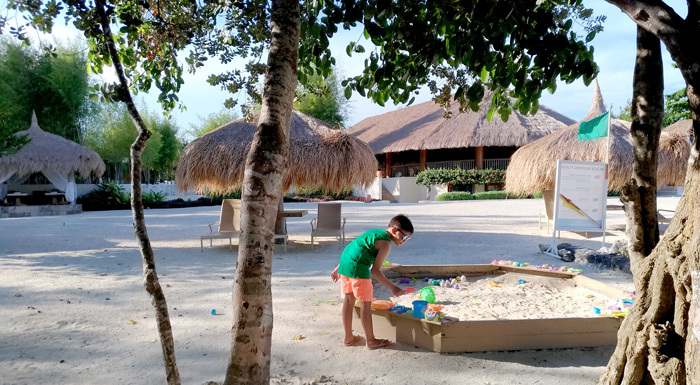 If you’re coming with your family, the kids sure would not get bored as they have amenities designed to make kids active. My Angelo had a fun time on this swing. He was hoping that there were also other Korean kids who would come and play out but they didn’t show up as early he came. 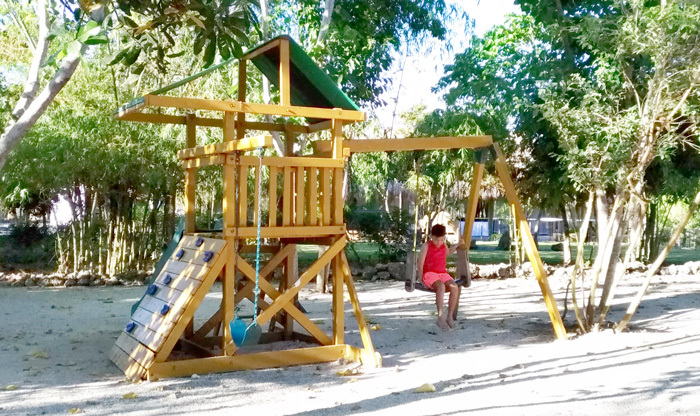 while the adults can have a relaxing massage at Amuma Spa or just swim at the pool. for a lazy day at the resort. 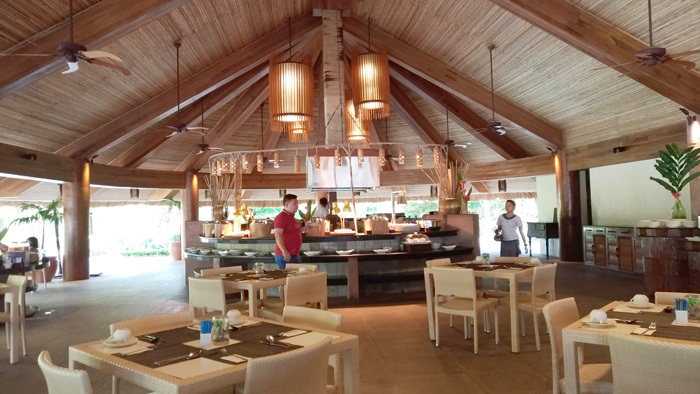 The Aplaya Restaurant radiates a relaxing ambiance that boasts modern Filipino-themed and first-rate dining fixtures and architecture. You'll always dine with a view here as it overlooks the Bohol strait. They offer authentic local fares with a modern and international twist to its flavours. All of their dishes used only the freshest ingredients sourced from the fishermen and farmers of Bohol. Aplaya Restaurant is open daily from 5am to 10pm. And I had a taste of the famed Bohol Sikwate. 'tablea' concoction that's rolled by traditional 'batirol'. Satisfying! 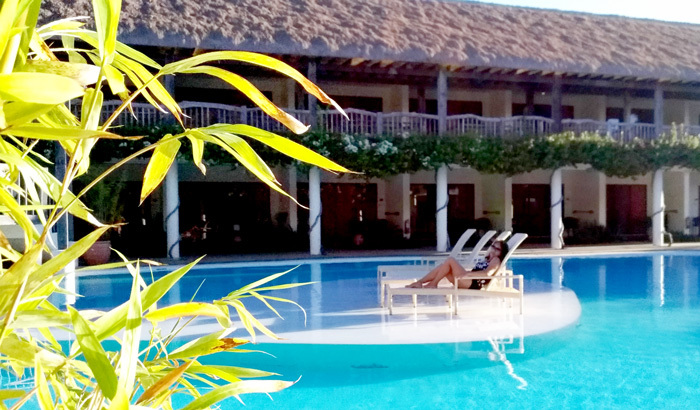 The aplaya swimming pool can be used by both guests and day-tourers. One of their meeting rooms the overlooks the beach, beautiful! boat transport to dolphin watching, Balicasag and Virgin Islands tours. 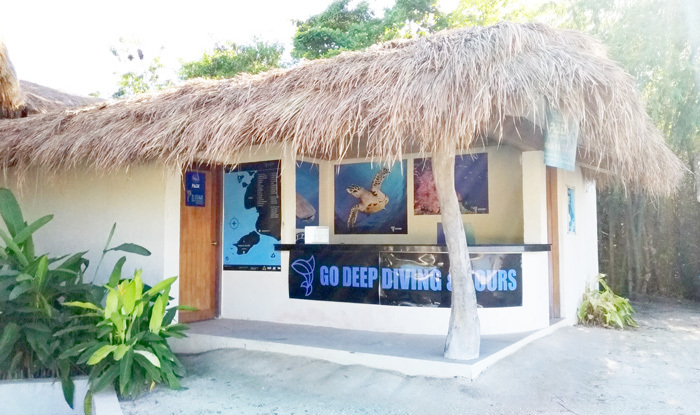 If you're a diving enthusiast, Bluewater Panglao can also arrange dive adventures for you to Balicasag Island, Cabilao Island, Sumilon and Pamilacan Islands. God, wish I have the courage, think I'm missing half of my life for not trying. But one of these days, even just 20 feet down the ocean, I'll be one happy soul. It doesn’t matter where you go in life as long as you go to the beach. If you're into Instagram, you'll love this part of the resort. A true picture of tropical paradise. I can’t believe two nights and three days has swift out like a summer breeze. We spent our time touring, sleeping and a lot of eating here. But I guess that’s what vacations should be, indulgence without guilt. 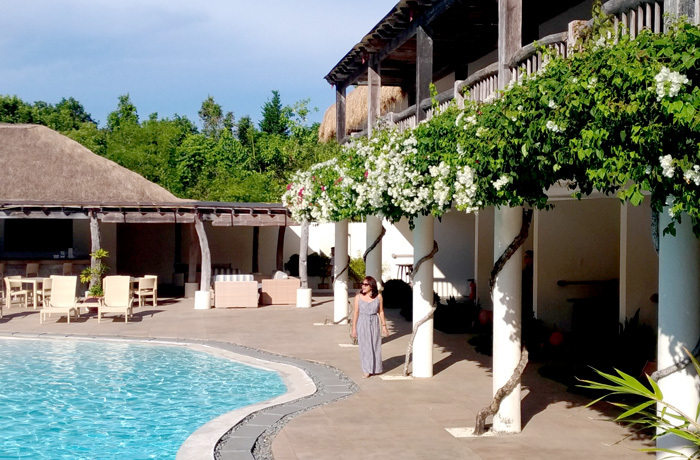 Bohol is truly a gem. Its rich cultural heritage translated into food, old structures, lush countryside, natural beauty, diverse marine lives are treasures every Filipino should experience in their lifetime. 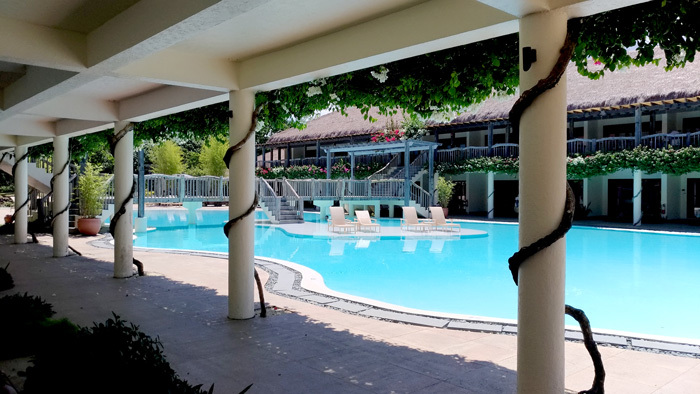 And when you want a true value of rest and relaxation you're looking for in your holidays, Bluewater Panglao is the right place to be. More than its modern, rustic and romantic features, it’s a place of utmost peace and quiet retreat. Bluewater offers a balance of great holiday experience. 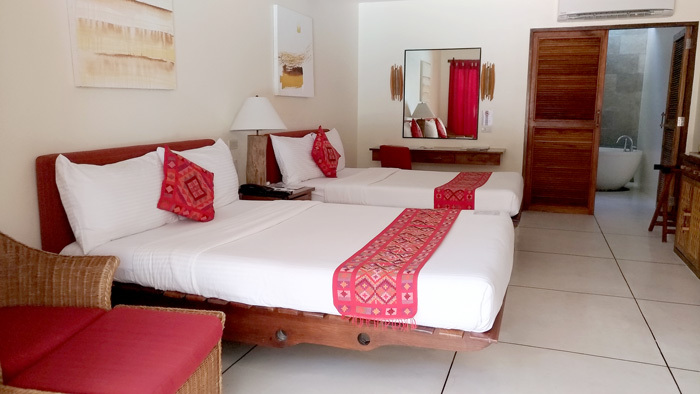 Whether you go countryside touring, sea adventures, fun and wild nights at Alona, you have a peaceful and secure home to go and rest to at the end of the day. 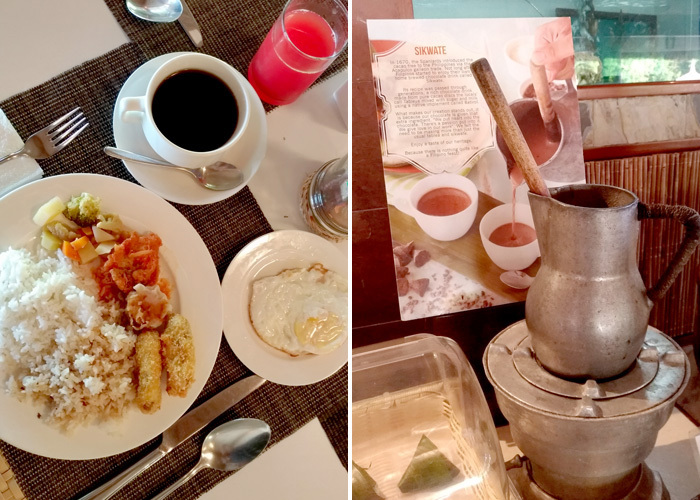 Truly, Bluewater is home to genuine Boholano hospitality. Lastly, they say some good things never last and I won't argue but we made memories that will last forever. 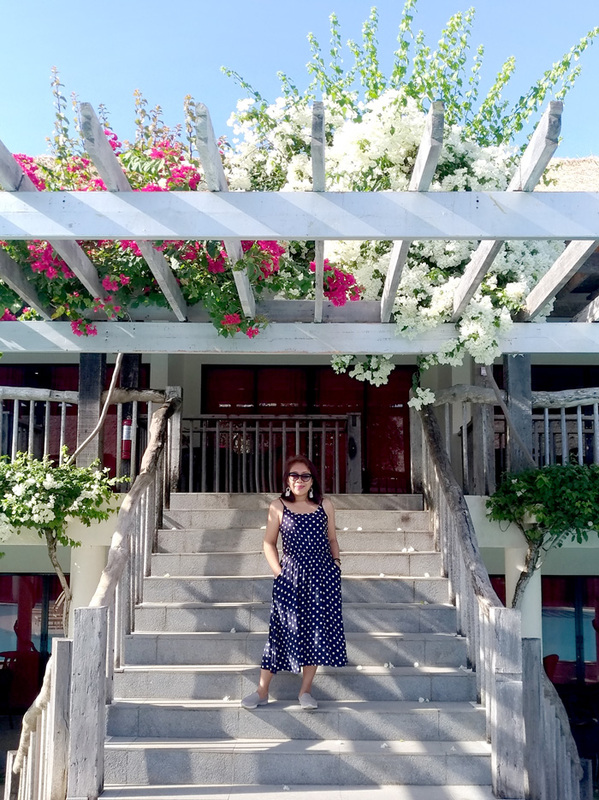 Thank you Bluewater Panglao for making our summer 2018 a summer to remember. 'Till next time! 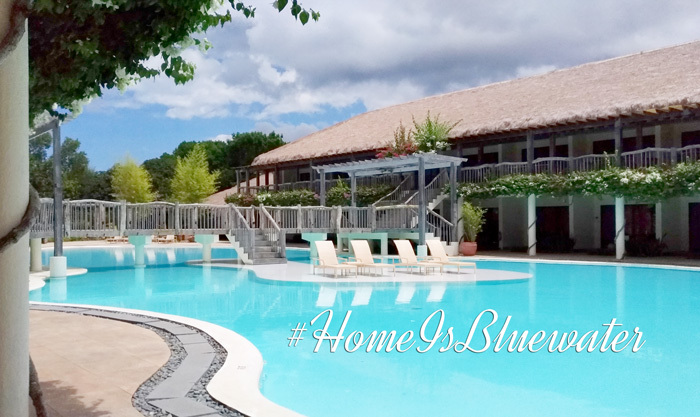 Follow and use the hashtag #BluewaterPanglao in social media for more of this conversation. From my family, thank you Bluewater Panglao! exceptional Boholano hospitality. See you again. The 7 dolphins in the logo was based on the story of the Legend of Lapu-Lapu where 7 doplhins helped him on his conquest to defend his land against Magellan. Also the youngest dolphin was named Dolpo. And Dolpo is the Bluewater's Official mascot. Hello Ms. Ivy, Wow! I initially thought they represent seven owners of the resort. Glad to know these dolphins aren't just icons but have a rich story to tell about our history. Thank you for sharing this information. We really had a good time at Bluewater :) See you soon.